Tantalising Travel Cases from Trendhim! At GYGO we appreciate that carrying your tech around is an important part of every day life. Especially for gadget lovers who need to have their laptops with them on the go. Which is why when we heard about Trendhim.co.uk and their incredible range of cases including a phenomenal range of laptop bags we couldn’t wait to check them out! Trendhim.co.uk specialises in accessories and jewellery for men. These range across the board from stunning bracelets, elegant watches, wallets, sunglasses, cufflinks right through to their incredible range of bags for sorts of purposes. We were honoured when the team offered us the chance of covering one of their Deep Blue Delton Canvas Satchel Bags. This stunning looking bag offers it’s wearer a range of ways to store their possessions with some great pockets perfectly crafted for holding their beloved gadgetry. At 32cm in height, the Delton Canvas Satchel is large enough, without appearing bulky or oversized to the carrier. Also with it’s depth of 13cm you can ensure you’ve got plenty of space to carry your own gadgets and any additional extras with ample space for the bag to expand to fit even more. 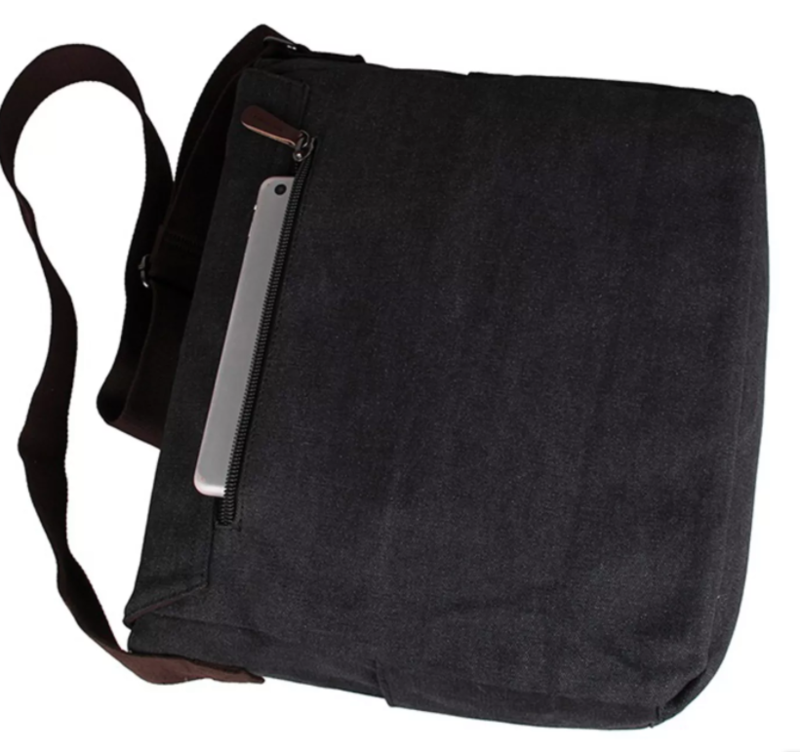 We particularly liked the rugged blue canvas material used in the bag’s build which you know will easily take a daily pummelling from a commute or being hauled from meeting to meeting. Whilst still looking stylish and ideal for modern commuters. We also love the fact that the front main flap of the satchel has two robust but elegant buckle straps. Meaning you’ve got total peace of mind that your items are firmly secure in your bag and won’t have a chance at falling out whenever you’re on the move. Not to mention making it less appealing to any unsavoury types looking to potentially try their luck ‘pickpocketing’ your stuff whilst you’re travelling. Impressively the buckle straps and zip tags are all crafted from a fine brown leather, giving the bag a real air of prestige over other similar cases. 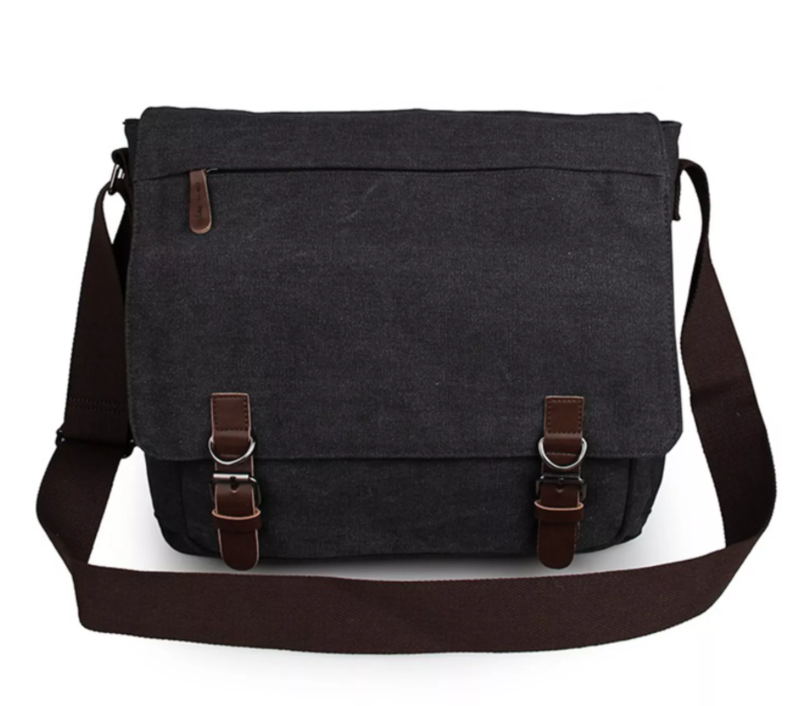 It’s evident a huge amount of thought has gone into the design of the bag, which is built to hold up to a 15, 6” laptop but on top of which can easily hold a host of other items. 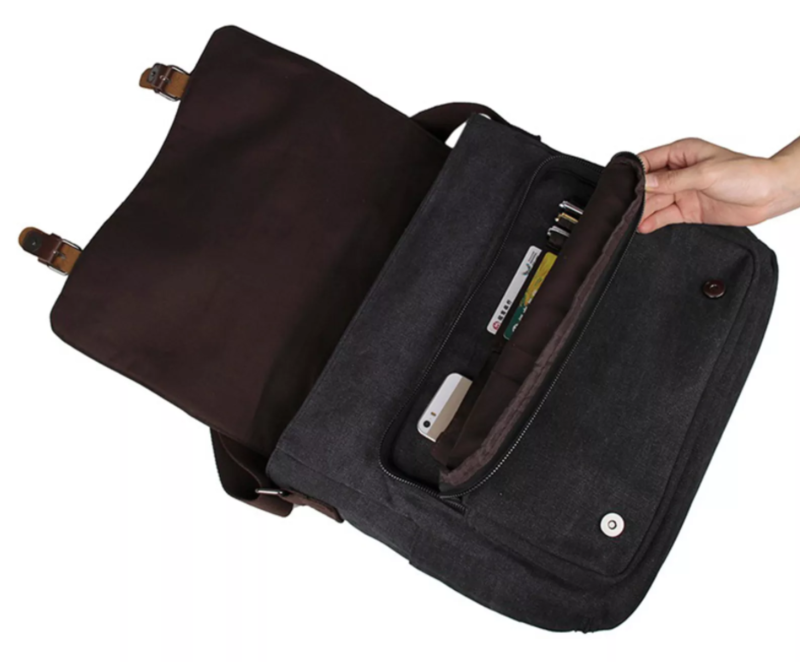 The laptop storage compartment is reassuringly padded within the main bag interior, with a strap to keep your computer safely stored. Accompanied with this, the bag has handy inside zip pockets inside and on the main flap which makes storing your expensive items and valuables extremely convenient to reach for yourself – but also especially safe from unwanted attention. On top of which the front pouch is more than spacious enough for a range of smaller accessories, which can be easily fitted into the range of pockets. Perfect for additional cables, storage devices, stationery, phones, power packs and more!